Thyroid exercise. Shutting Down Your Thyroid Is a Survival Mechanism. Quick fix weight loss solutions work by hijacking and taking advantage of your hormones in a very dangerous, unhealthy, and thyroid-suppressive way. And all stress suppresses your thyroid, whether you like it or not. 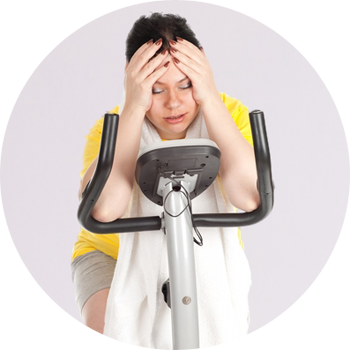 When you exercise with a low fuel supply, your body panics and starts releasing massive amounts of stress hormones. These stress hormones shut your thyroid down and lower your metabolism to conserve and save what little fuel you do have to keep your brain functional. If your body didn’t shut everything down, then you would burn through all your fuel quickly, your brain would stop functioning, you would lose consciousness, and death would soon follow. When you run out of fuel, that’s when your body releases massive amounts of stress hormones and when your thyroid and metabolism become damaged! Doesn’t it make much more sense, that if you want to increase your energy levels and lose weight in a healthy and sustainable way, that you must stop this unhealthy process, improve your thyroid function, and maximize your metabolism? The solution to making exercise safe and thyroid-boosting is simply to stop this dangerous stress response that exercise causes BEFORE it ever happens. Learn about the program by clicking below..